A warranty certificate is handed out to customers who buy a certain product, to ensure that customers can get it changed or repaired when the product fails to function in after a limited time of purchase. A warranty certificate is an essential document without which a customer cannot claim any repair. Therefore, a warranty certificate needs to be designed in a way that it clarifies the terms and conditions, include the warranty period and other necessary information. You can also see Printable Preschool Certificate Templates. 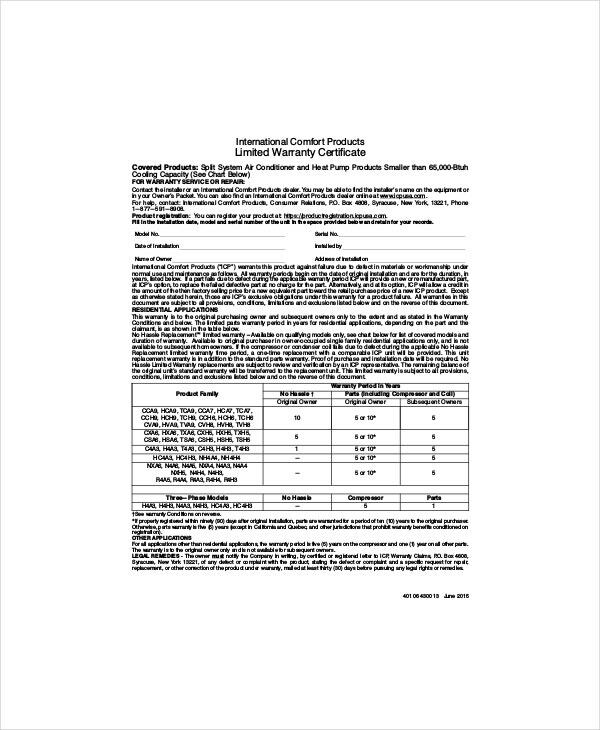 This product warranty Certificate Templates is simple and has a clear format for conveying the warranty terms and conditions, warranty period, limitation of warranty and other important information in detail. Exclusively designed for warranty of roofing installation, this template covers important details on warranty. 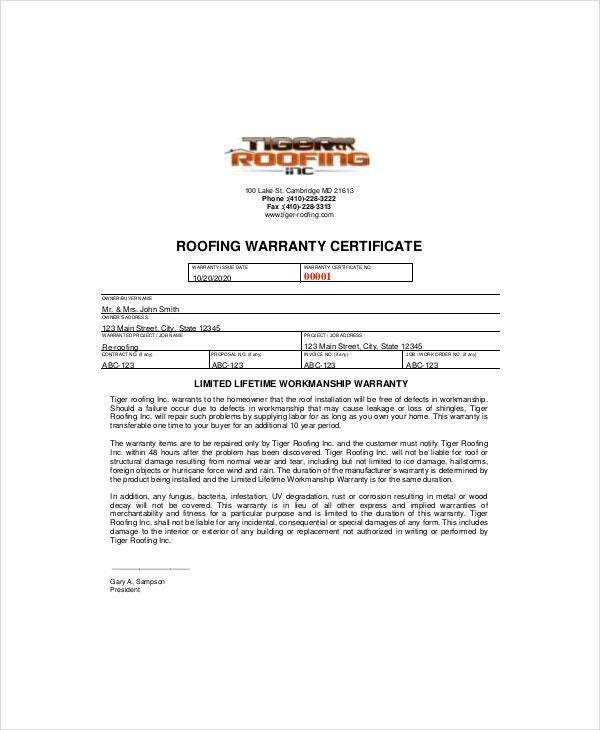 The roofing warranty certificate template free download is available online. The template can be edited according to user preference. This is an impactful and vibrant template which covers the details of the warranty in crisp and readable format. The template uses blue coloured text with other design elements like elegant font style, orange border etc. You can also see Photography Gift Certificate Templates. 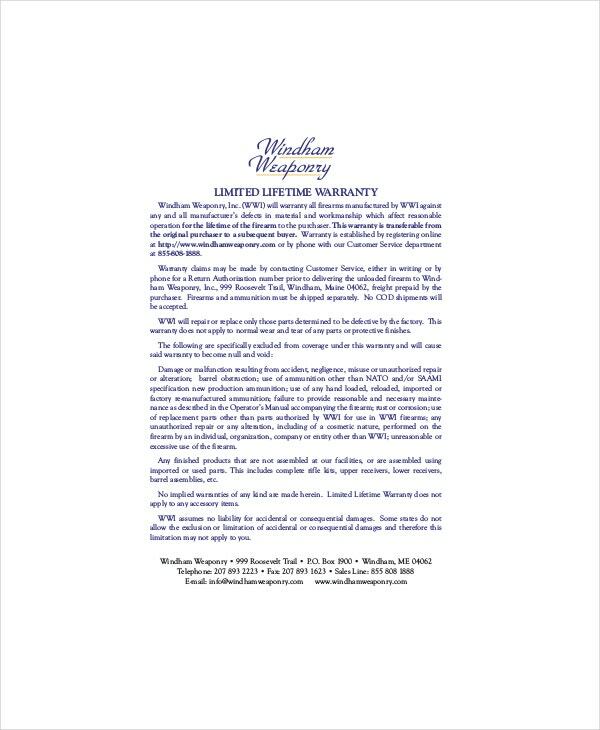 This warranty certificate sample letter has two pages that cover the complete details of the product on one side of the page and the conditions of warranty on the other side. The certificate is simple yet covers all the necessary details about product and warranty. Aside from covering all the details of the product and its warranty information, the template has elegant design elements like page border, tables, and columns etc. The certificate uses text in black colour on a white background. > What to Look for in a Warranty Certificate? A warranty certificate is an important document that must clearly cover every detail related to the product and its warranty information. A warranty certificate sample letter will guide you to write a meaningful and effective warranty letter. When choosing a warranty certificate, there are few important things that you must look for. 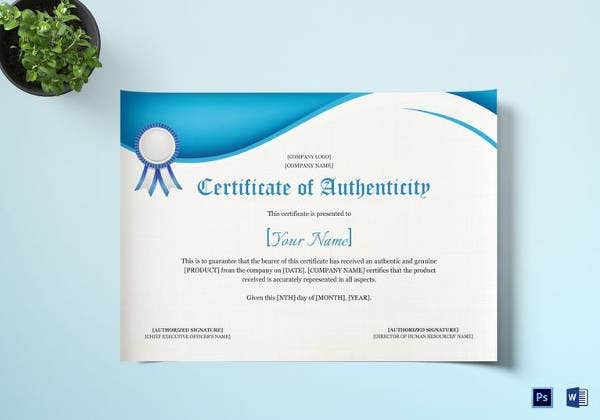 A warranty certificate must have room for information like product name, brand name, the serial number of the product, the date of purchase, the address of the seller store, the period of warranty, terms and conditions, limitations of warranty and other information that is important for claiming warranty in future. You can also see Share Stock Certificate Templates. 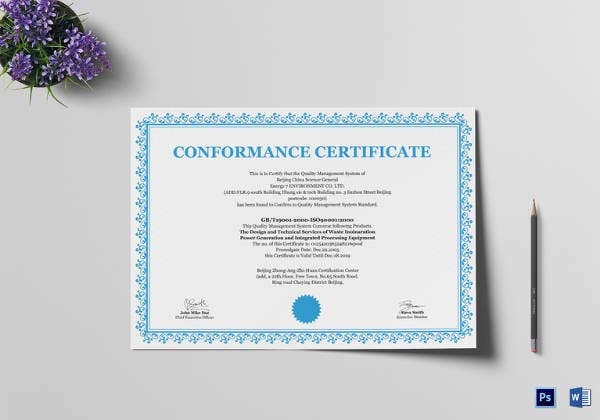 A warranty certificate is an important document that needs to be stored safely for future use and therefore it must be designed and printed on a professional quality paper. > Different kinds ofWarranty Certificate Template? There are numerous warranty certificate templates available for free download online. One should choose the template in accordance with the product for which the warranty certificate is being written. To pick the best warranty certificate template, look for one that covers crucial information such as product details, details on warranty period, limitations of the warranty period, information of product manufacturing, seller information, contact information etc. 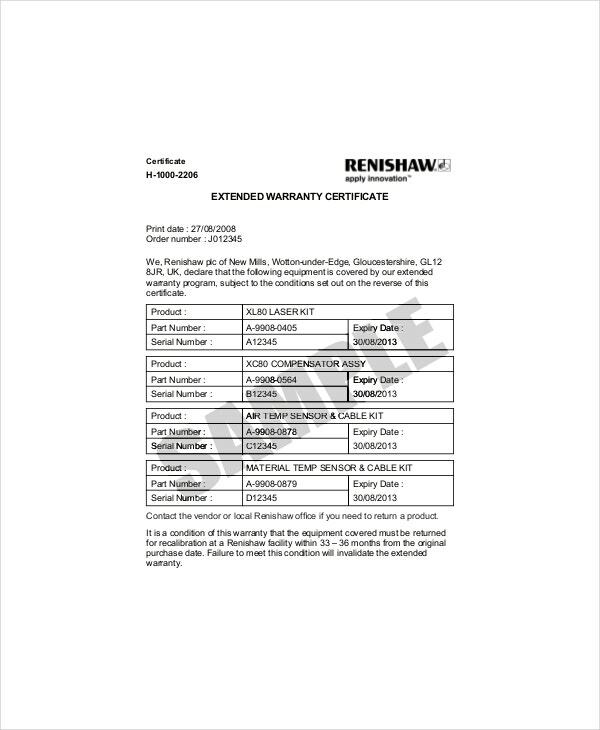 Here is the list of popular warranty certificate template free download available online: You can also see Professional Certificate Templates. Best suited for declaring warranty of a product, this template is simple and covers crucial information on warranty and product details. This type of template is used by roof installers. It covers details of roof installation warranty and services that will be covered within the warranty period. You can also see Free Certificate Templates. Lifetime warranty certificate promises repair of a product or service for a lifetime. The template has decent design elements with impactful text. This template is used when the customer wishes to extend the warranty period of any product or service. The template lists the product for which the warranty is being extended and also states the expiry date of the warranty period. The template has a clean and impactful format. You can also see Diploma Certificate Templates. This is for products or services that offer warranty for a limited duration. The time limit is mentioned on the template along with the terms and condition and other important details on warranty. > What is the Utility of Warranty Certificate Template? 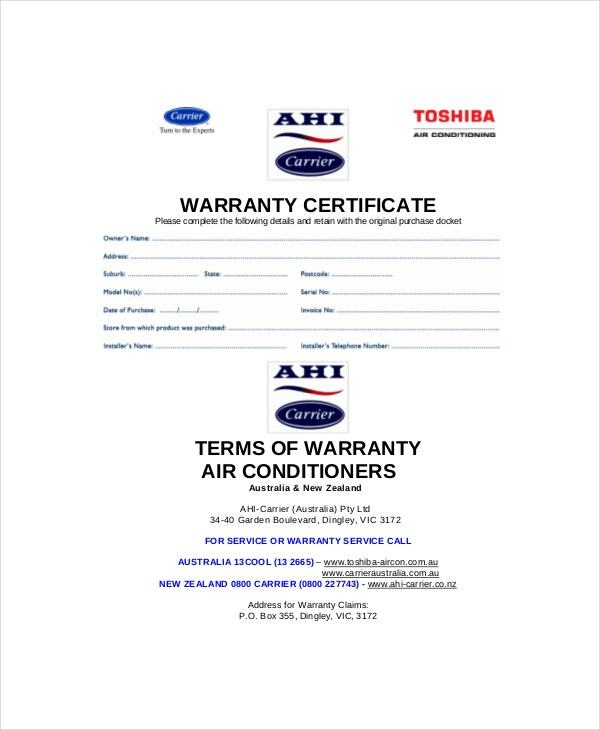 Warranty certificate is a document that is handed out to customers at the time of purchase to enable them to claim any repair or replacement of it later. The warranty certificate template is a time-saving and effortless way by which the sellers can record details of the product and warranty details to give it to the customers. These templates have space for filling up important information like product details, warranty time period , limitations of warranty etc. You can also see Scholarship Certificate Templates. These professionally designed templates save time and effort that might be needed to design and phrase a warranty certificate. These warranty certificate templates are easily available for free online. > What does the Warranty actually mean? Warranty is a term used for a time period under which the product bought can be repaired or replaced. A manufacturer offers a guarantee period on any product that is bought by a customer which promises any repair if the product fails to function within that limited period. You can also see Baby Dedication Certificate Templates. Not every issue is covered under warranty, there are certain limitations and terms and condition attached to it. 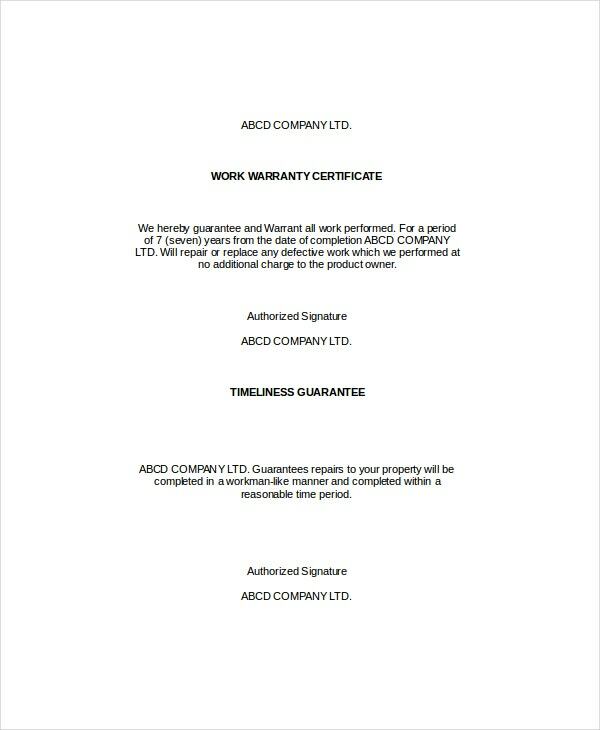 A product warranty certificate template covers all the information related to the warranty of a product, the terms and conditions, limitations and other important details in one document. Warranty establishes a bond of trust between the customer and the product manufacturer for a long term and promotes a healthy relationship. You can also see Marriage Certificate Templates. A warranty is an important document, as the customer can claim any repair or replacement of the purchased product within the specified period. 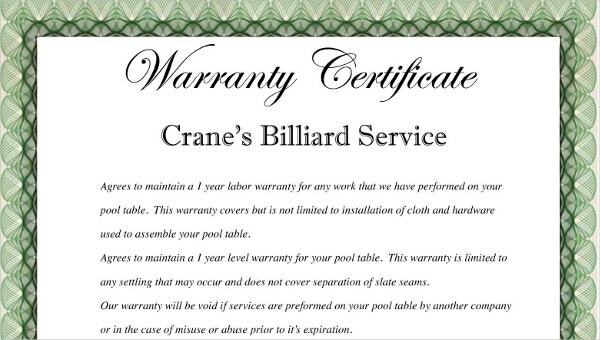 The warranty certificate also reflects the professional standards of the manufacturer and therefore one must hand out a detailed and well-written warranty certificate. 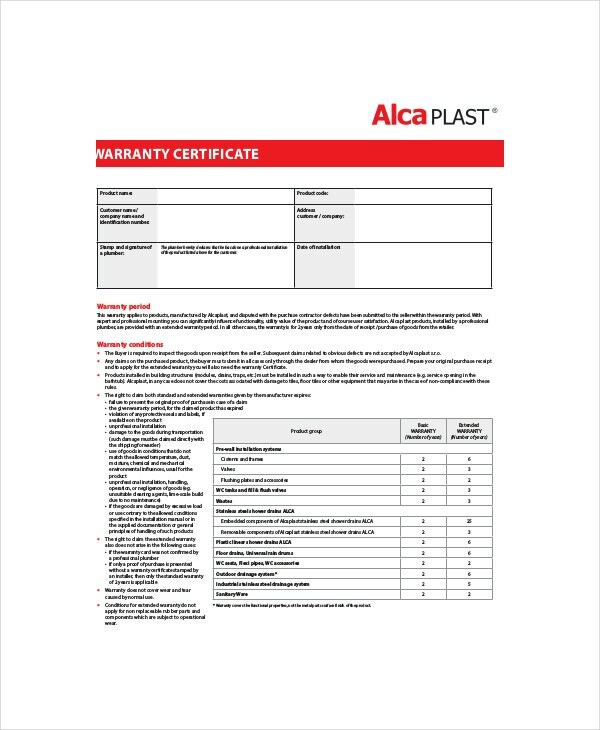 The warranty certificate template free download is easily available online.